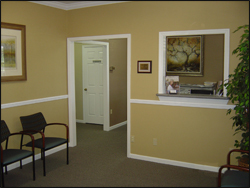 At Moleski Chiropractic, comfort and convenience are the hallmarks of our office operations. We take pride in seeing our patients at their scheduled appointment times. To make an appointment, please call (850) 878-5636. If, for some reason, you cannot keep a scheduled appointment or will be delayed, please call as soon as possible. Most insurance policies cover chiropractic care. The amount which they may reimburse varies per patient, but we will file with your company for you. There are many different companies and coverages on the market, so we can't say exactly what your coverage will be. Auto injuries are typically covered 80-100% by your auto insurance company. If you have little or no coverage, you are not alone. That’s why we have very affordable, no-interest payment plans. After your examination and any necessary diagnostic tests, if it is determined that Dr. Moleski can help you, you will be provided with a written recommendation sheet that spells out how much treatment and care will cost, how long it may take, and what options you have to pay for the care. 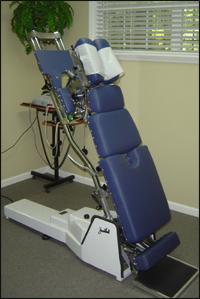 The office is equipped with a non-surgical decompression device called the DRX 9000. This is a revolutionary technology that has been shown in an FDA study to be very effective in treating degenerative discs, herniated discs, sciatica, facet syndrome, and failed back surgery. Patients who were previously advised to have surgery now have another option. We also use Cold Laser Therapy in the office. Not a day goes by that we don't hear an amazing success story from a patient. We are able to treat people who were hopeless, and have given them their lives back. In addition, we utilize Dry Hydrotherapy Massage for our patients. Dr. Moleski’s practice includes treatment for fibromyalgia, peripheral neuropathy, carpal tunnel syndrome, metabolic imbalances, and dizziness through the use of brain based therapy (BBT), nutritional supplements, orthopedic supports, and exercise in conjunction with specific chiropractic adjustments. v Test each patient metabolically, neurologically, and structurally. v Stabilize the autonomic nervous system (organ function). v Balance the brain hemispheres (brain and nerve damage). v Prevent future neurological degeneration (dementia).